This is either a desperate cry for professional help or a fun way to celebrate Memorial Day, 4th of July and Labor Day cookouts. 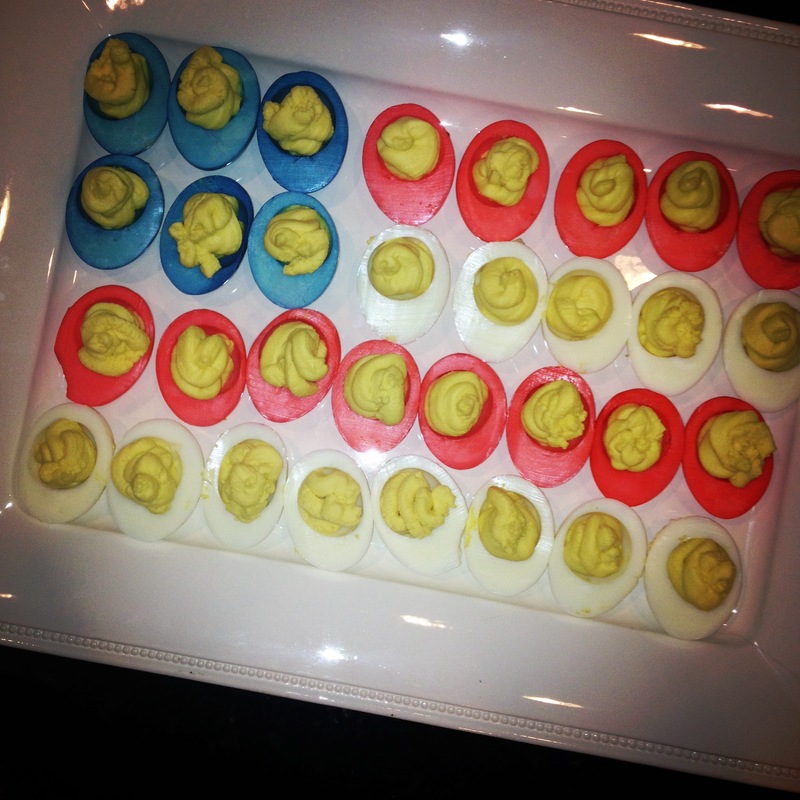 Take your favorite Deviled Egg recipe and throw in a little reverse Easter egg dying, and you’ve got the weirdest yet best addition to any potluck. For my sized large platter, I boiled 18 eggs and then peeled them as they were warm so they came off easily. Cut them in half and reserve the yolk in a separate bowl for your filling. 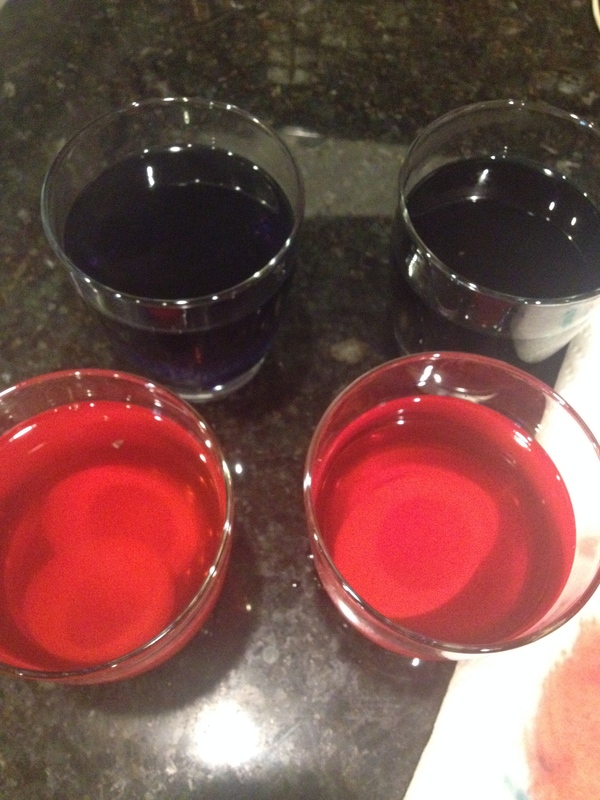 Count out the number of red and blue halves you need, then prepare the dye according to the package directions of ordinary food coloring. I used a few drops of color, vinegar and boiling water in a cups and then let the colors cool slightly before coloring the whites. Place the whites in the color for 3-5 minutes each for desired color. It is a much faster and brighter process than shelled eggs, so keep that in mind. Drain on paper towels, hole-side down until ready to fill with your favorite deviled egg filling. I used my Deviled Eggs Benedict recipe. 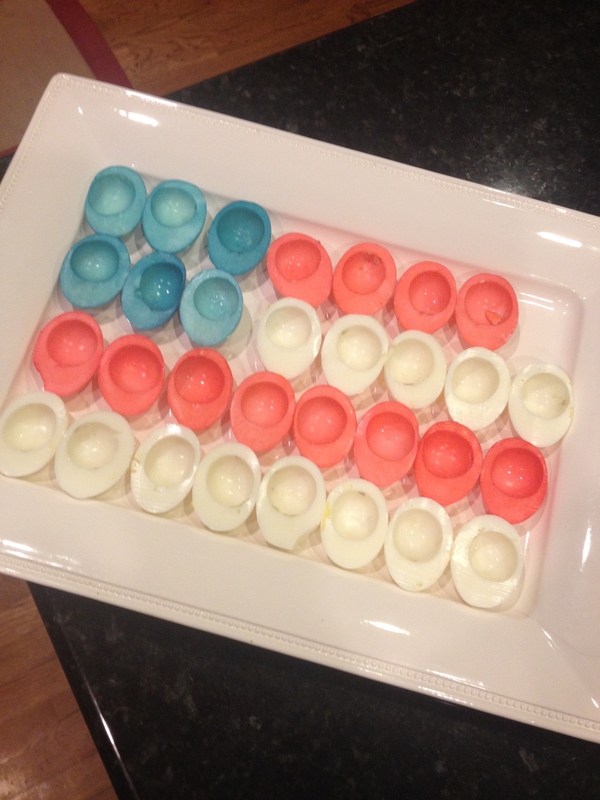 Arrange on large rectangular platter in the shape of a flag, and start singing the anthem. Feel free to bring them to therapy.